Participants will enjoy the experience of living in a vibrant community with the beauty and richness of diversity. Such a living experience will provide the opportunity to know the people and not the myths. It will provide the opportunity to develop experiences that may change the angle of vision and how to evaluate the people of the mainstream disconnect. Through this experience we believe participants will be better equipped to provide ministry in urban settings. 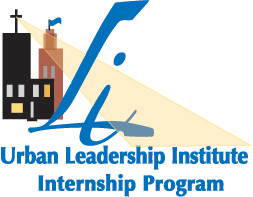 To answer this need, the HMABW board of directors under the leadership of Carman Porco, developed and implemented the Urban Leadership Institute Internship Program. create potential for leadership development in the area of our ministry. promote this type of ministry and serice in the academic world. provide our residents and the people we serve with the opportunity of serving, as well as being served by the participants that would become interns. Why is this a unique internship potential? develop pastoral skills in community. be exposed to a comprehensive management system that focuses on mission, leadership, management and organizational systems. It involves political and economic policy development with public officials and funding sources. You will be enriched by working with low-income persons who hold the jobs created by our ministry. You will learn and serve with people that too often are written off as not being capable of making contributions and and serving others. have dynamic choices working with children in the daycare, Head Start, teens in the after-school programs, teens and adults in the computer labs or working with adults in preparing for their career. Whether it be group activities or one-on-one, you can find the opportunities that relate to your interest while being an intern. Choices also can be found in dealing with systems and power relationships and how we work with the resources of the larger community. We will work developing additional partnerships and collaborations with community groups and services as we explore new program needs. be exposed to a multicultural community. Our housing communities are made up of Afro-Americans, Asians (Hmong, Cambodian, Vietnamese, Laotian), Hispanics, Caucasians, and Native Americans. be exposed to proven Community Management System and Human Services Organization that has been able to move government agencies into leading-edge approaches to meet the needs of the low income community. These agencies include the Department of Housing and Urban Development, the Neighborhood Networks and Community Builders Programs, and the Department of Education with its community Learning Centers of the 21st Century. Reverend Dr. Carmen Porco brings more than 30 years of experience, leadership, and innovation in community development and management to the Urban Leadership Institute. A product of the American Baptist Christian Center movement, Carmen left his early roots in an oppressed and impoverished community in the shadow of a steel mill to graduate from Alderson Broaddus College with a Bachelor of Science in Social Psychology and continued on to receive a Master of Divinity from Andover Newton Theological School. As Director of Housing for the Housing Ministries of American Baptists in Wisconsin, Carmen has successfully brought six low-income housing communities out of default to become models of effectiveness. He has also envisioned, planned, developed, and currently oversees five Community Learning Centers in that housing. These centers have become models for a national HUD initiative, Neighborhood Networks, which have in turn resulted in some 600 learning centers in low-income communities nationwide. He is also the president of Porco Consulting and has helped with the reorganization and strategic planning of diverse groups such as the City of Madison’s Community Development Authority and the Wisconsin Conference of the United Church of Christ. Mr. Porco has received various state and national awards from both the private and public sectors. 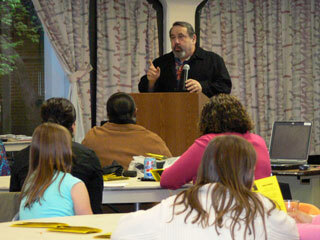 He is nationally recognized as a speaker, lecturer, and trainer. Mr. Porco has developed a unique integrative management approach that brings together human service organizations, property management, and public policy institutions into a dynamic system of community management.